One 16-year-old girl versus a plague of beasts. Can a 16-year-old girl stem the tide of a lycanthropocalypse? When three younger boys show up on Mia's doorstep, naked and on the run, she is drawn into a shadow world where a series of strange disappearances heralds a slowly spreading plague of lycanthropy. Mia must save the three orphaned boys from their brutal Alpha, a man-beast who believes humans are food. A war is brewing for the top of the food chain. Mia doesn't know it yet, but she holds the key to the future of the human race. Strong female lead, with vulnerability. 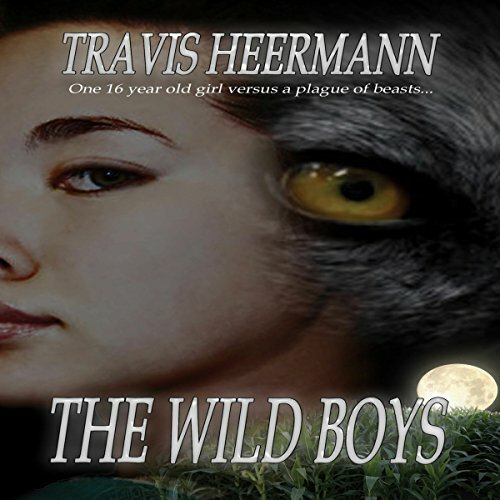 Would you consider the audio edition of The Wild Boys to be better than the print version? I only have the audio version. Mia. She was easily swayed by human teen hormones and still managed to do the right thing for herself. Which character – as performed by Becky Parker – was your favorite? I'm always amazed when a writer can take familiar characters, story line and weave a fresh, "hold on to your seats" story. Great job!